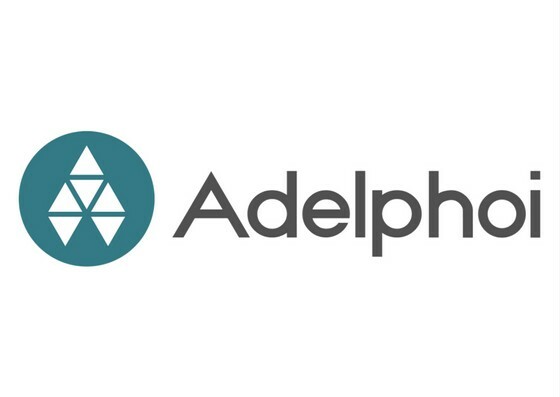 Adelphoi: “I am more than just a trader’s coin” — Adel Ecosystem Ltd.
You probably see alot of information coming through social media or people around you, talking about blockchain coins, tokens and currencies. Most of the times they use the term token when they actually mean coin, and a coin when they mean token. A blockchain coin is a digital currency. Whereby tokens are used to represent a share, a transaction, a message etc. 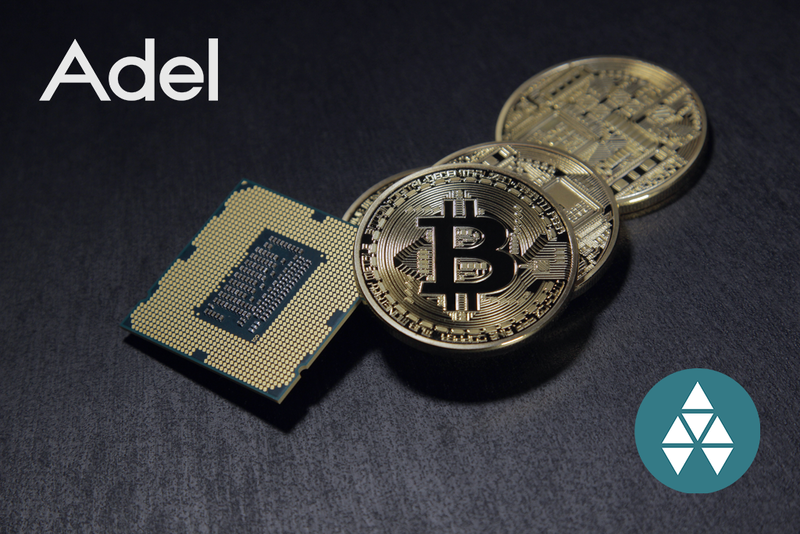 In this article I would like to talk about the Adelphoi coin (ADL), the digital currency for the Adel Ecosystem. If you don’t know what Adel is, you can check out my first article or check out their site. Most of the “coins” you see on Coinmarketcap are stakeholder tokens which main-use on the corresponding blockchain is as a transactional token. Adelphoi coin is different, in that it is used to fuel a comprehensive ecosystem, representing its own Economy. The source of the bottom lists with ▲ is Adel’s subReddit. ▲ ADL coins in a member’s wallet are directly proportional to their voting power. ▲ ADL coins can be bought, sold and traded on public exchanges. ▲ ADL will be used as reward payments to stakeholders of projects (to be part of Adel phase II). ▲ Other monetization possibilities will be available for ADL, via the portal’s Market Module (Q1 2018). ▲ ADL will be used to purchase ADS tokens in the future (phase 2 in executing projects). ▲ ADL is used for bounty payments for stakeholders who promote the Adel vision in blogs, vlogs, articles or other media opportunities. ▲ Only Adel community members will be able to purchase ADS (Adel Share) tokens. ADS tokens can only be purchased using ADL coins. ▲ ADL may be used for salaries in project participation, in the future. ▲ Favorable rates in future community initiatives, purchases, etc. 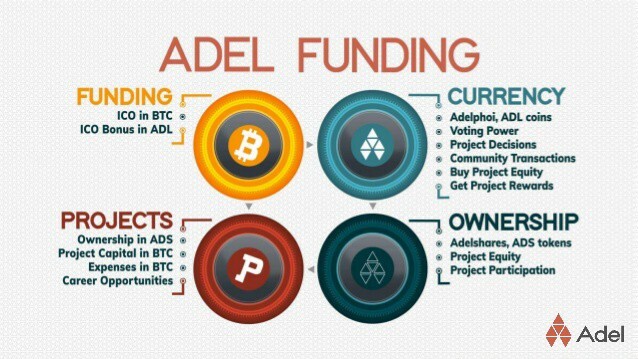 Adel members (owning more than 64000 ADL / Participators of last ICO: 32000 ADL) will have advantage in new to-be-incubated projects (think of f.e. discounts, airdrops etc.). Note: the exact benefits are not known yet. As you can read above, ADL is more than just a stakeholders coin used for trading. You might have spotted the Adel Share (ADS) token in the text above. ADS will represent a stake in projects that Adel members are able to activate. For example: you can buy profit participation (ADS) in the project. At the moment the iFin.io FinTech project is currently being incubated. The Profit that projects generate will be paid to members who have purchased ADS profit participation in that project. You pick the projects you like to buy shares in and the rest will be done for you. Member’s even have employment oppportunities in any project, if they have the needed expertise or experience. Liquidity of ADL is currently low, a chance to buy cheap or a no-no? Well as you can see on Coinmarketcap there is not much liquidity yet for the ADL coin. There are alot of ADL Hodlers that see the potential of Adel and in my opinion this is still a chance to get relatively cheap coins in a challenging way. Adel team has always stated that this is a longterm project, they are building a real business with a self-sustaining ecosystem where everyone is able to participate in. Day-traders that are looking for a quick buck, are not in the right place (i.e. in my current opinion) and should look elsewhere for suitable “pump and dump” coins. Adel Ecosystem Ltd. has the ability to do 2 more ICO’s (the Worlds 1st succesful KYC/AML/CTF compliance ICO ended 31st of May 2017). When the 2nd ICO will land is not known yet, but will probably be somewhere in late 2018 (depending on the fund-needs). Any future ICO’s will serve to incubate a new series of exciting projects. The roadmap shows that the Collaboration module and the website make-over will be ready this month (October ‘ 17). 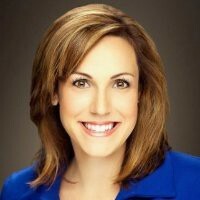 Jessica Zartler is now part of the Adel team to add more force to the marketing iniatives. Started officially 1st of October. Last wednesday Gabriel Dusil did a presentation about Adel at the ICO Event in London, UK. First week of November Adel team is participating the BETA Track at the Websummit in Lisbon, Portugal and on the 1st of December the CryptocurrencyWorldExpo in Warsaw is awaiting. New exciting iFin.io news will be coming soon. If you haven’t connected with Adel through social media yet, be sure to like and follow so you can stay up to date with the latest Adel Ecosystem news.